In January 2018 Alessio Stillrich fractured his tibia and fibula during an Aerial at Cape Point in South Africa. He had to undergo surgery and cancel his plans for the winter. 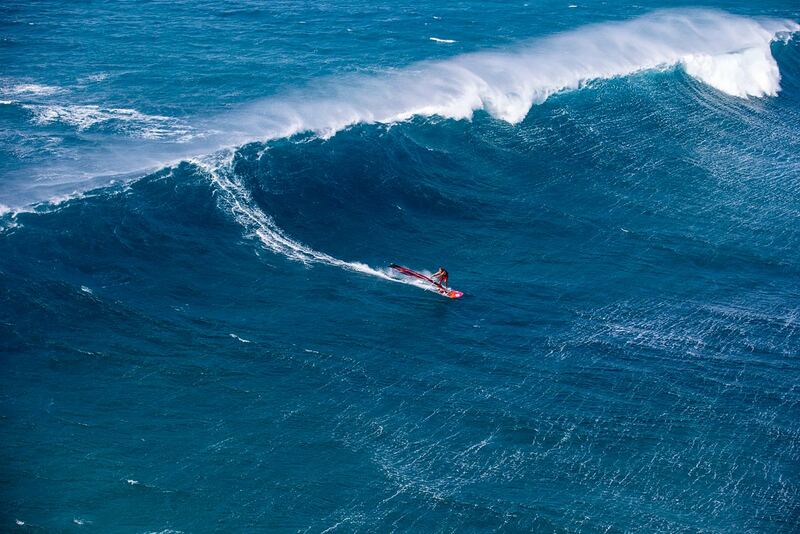 Alessio, who lives in Pozo Izquierdo had to watch his friends riding the winter swells in Gran Canaria. A few days ago he got the ok from the doctors for a first windsurfing session. 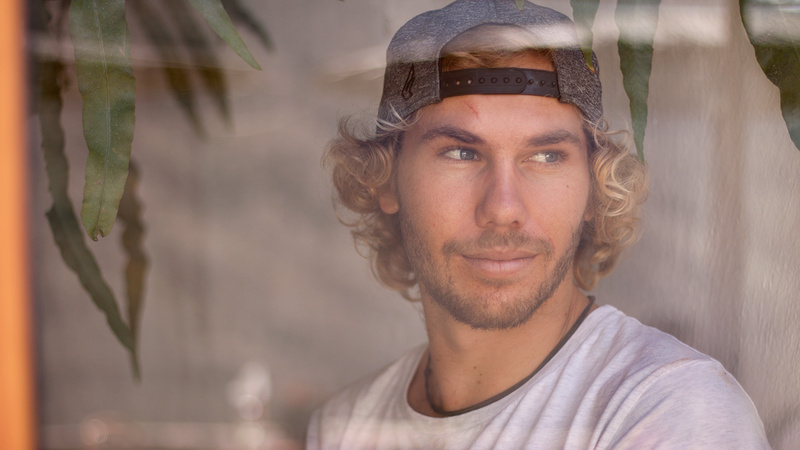 We caught up with Alessio to speak about his recovery, his first windsurfing sessions after injury and how it was to be off the water. Continentseven: We saw you recovered from your injury and made it back on the water. How were your first sessions? Alessio Stillrich: They were better than I thought that it would be in the beginning. I was scared to have more pain while planing, jibing, water starting and so on… I feel a bit of pain in the broken part of the tibia, specially if the wind is strong and the water choppy, what the conditions are about in Pozo Izquierdo on Gran Canaria. Continentseven: Did you expect to be back that fast after this severe injury? Alessio Stillrich: No, honestly not! At the beginning I thought that I will be out of the water for at least 6 months, but apparently my bone-healing process was a bit faster than expected so I was able to return on the water more than a month prior to that. I was also able to start working in the gym quite early what helped me to recover big parts of my muscles a bit earlier, too. Continentseven: Can you already go for some moves? Alessio Stillrich: Right now I am dreaming about that!!! No, for now I am more than happy to be able to windsurf up and down and ride some small waves without doing any moves. I will try to do more moves and come back to my normal level slowly step by step. Continentseven: Do you follow a strict therapy at the moment? Alessio Stillrich: Yes I do. I started with the rehab 5 weeks after the accident and since then I am dedicating a lot of time to my recovery in the gym and in the pool. In the beginning I did a lot of mobility exercises because I could not really move my ankle and knee. Once I was allowed to start walking and putting some weight on my leg I started to work a lot on the balance, strength and flexibility. I also take more care about my nutrition now as this helps to accelerate the healing process for the bone a bit. 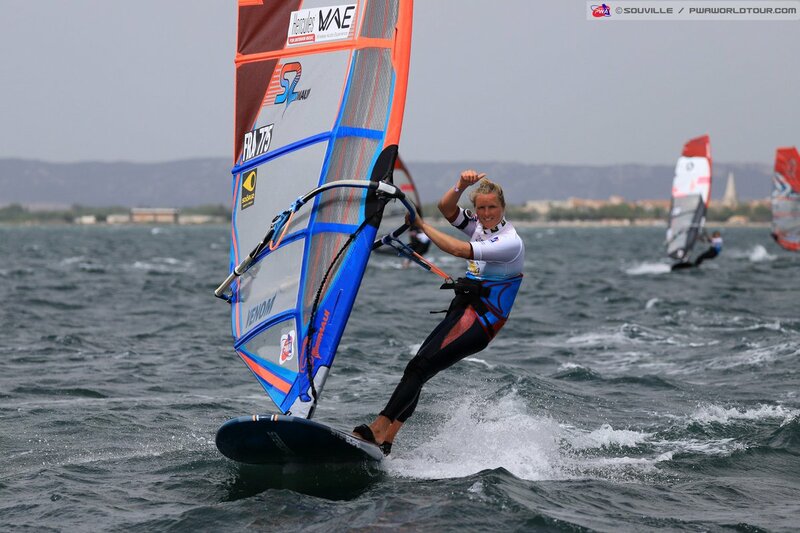 Continentseven: How was it for you not to be able to windsurf for more than 4 months? Alessio Stillrich: What can I say? It has been terrible, especially in the beginning! The first three weeks after my injury I spent in Cape Town and saw how everybody was sailing and having fun while I knew that the season had ended for me already in January. The winter at home has maybe been the best winter since I windsurf. I saw all the guys out there from the sofa I was laying in for most of the time. I started to feel better once I was able to walk normal again. From that moment onward I also started to feel that the moment to be back on the water was getting closer and closer. Continentseven: Do you think you can participate in the GC Wind & Waves Festival in middle of July? Alessio Stillrich: There is no chance to make it on time. The tibia takes about 6 to 8 month in healing together completely and before that I am not allowed to force it too much since there is the risk that the nail going through bends or breaks. This would probably be the end of my career, so I don’t want to risk it. 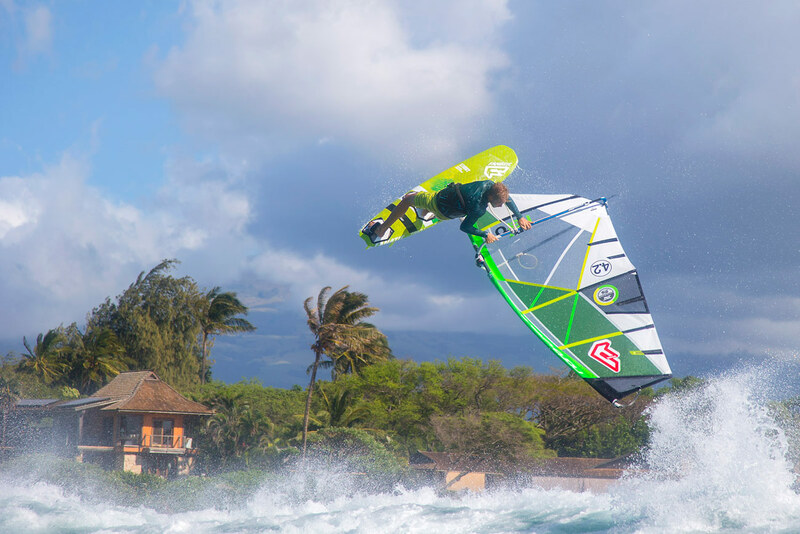 Continentseven: How does windsurfing feel after so many days off the water. Is it even more exciting? 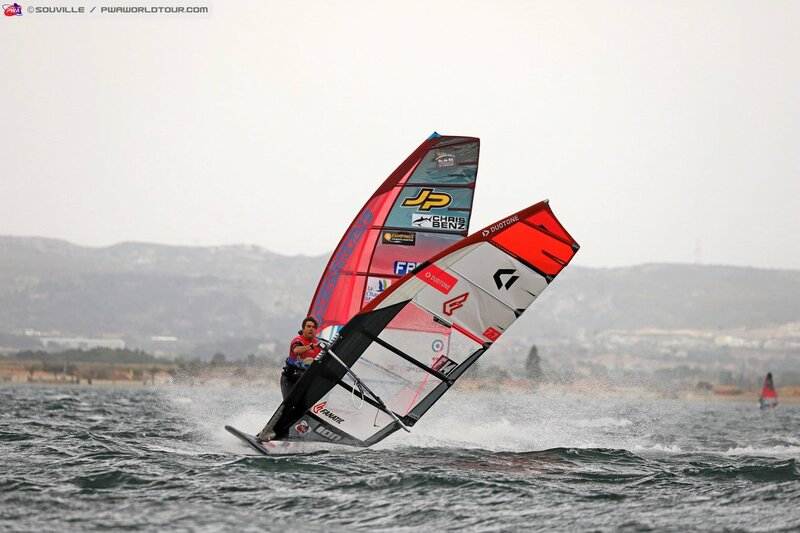 Alessio Stillrich: The first run was amazing! Before stepping on the board I walked over the Pozo stones thinking how it would feel and if I will have pain. As soon as I jumped on the board and started planing I had a big smile on my face. It was a feeling of pure joy, and I felt a lot of desire to scream… it was a really nice moment! Even for me it is nice now just to cruise around and enjoy having a sail in the hand and a board under the feet! 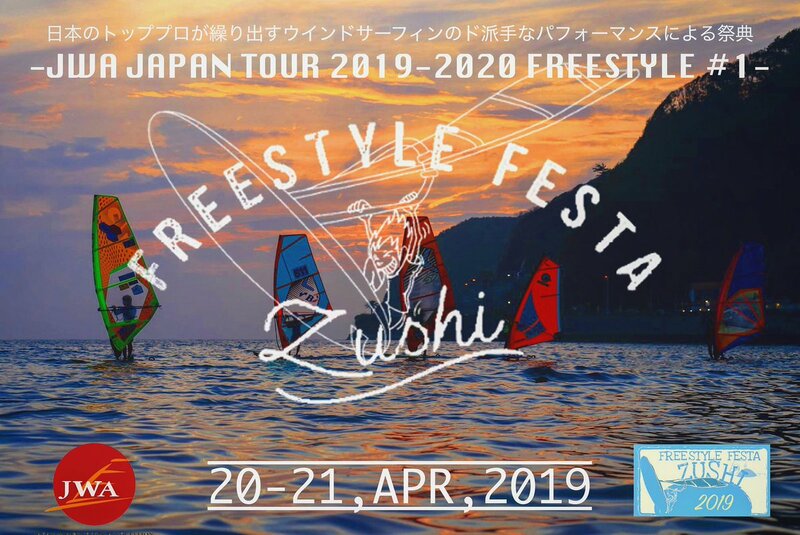 Continentseven: Philip Köster returned stronger after his injury last summer, Steven van Broeckhoven won again an event after an almost 6 month long break from windsurfing. Will we see you back in the top rankings soon again? Alessio Stillrich: That’s definitely my plan! I always want to surpass my previous level and results, that’s why I think and hope to be extra motivated and with a lot of hunger for 2019 as I won’t be able to compete this year. Continentseven: Thanks for the interview and good luck for the rest of your recovery!